The driver of a semi-trailer in a crash involving the Humboldt Broncos hockey team bus has been released on bail following his first court appearance Tuesday in Melfort, Sask. 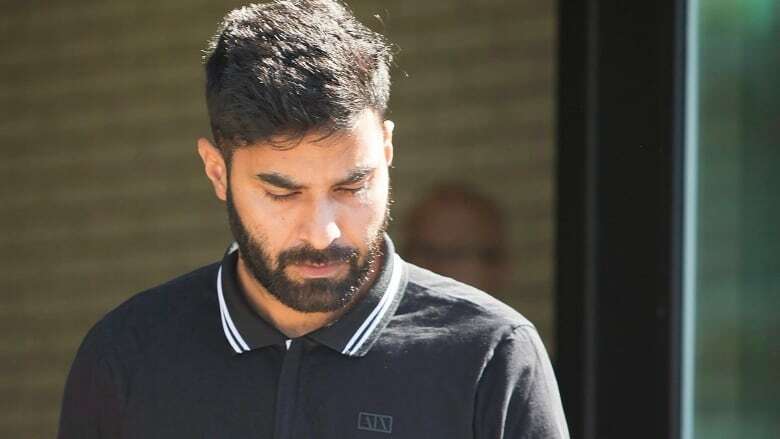 Jaskirat Singh Sidhu, 29, is charged with 16 counts of dangerous operation of a motor vehicle causing death and 13 counts of dangerous operation of a motor vehicle causing bodily injury. While on bail, Sidhu will not be able to operate a motor vehicle, will have to stay in communication with RCMP and will have to give up his passport. Bail was posted at $1,000. Outside court, the father of Evan Thomas, one of the players who died, said it was important to be in the courtroom. He later said the moment made him feel an empty pit in his stomach. "Part of me thought I'd feel anger but it wasn't. It was just an empty void," he said. After talking to other parents, he said the court process is daunting. "You think you park the 'why?' questions for awhile but now they're right there. It's like 'why? Why did you go through that stop sign? Why were they at that intersection? Why was my son standing?'" Ultimately, he wasn't surprised Singh was released on bail. ​Brian Pfefferle, criminal defence lawyer, says in most cases, it's up to prosecutors to prove whether the defendant should remain in custody. That means the accused is usually released by the Crown. "This prevents unnecessary delays in court proceedings," said Pfefferle. Russell Herold, whose son Adam died in the crash, didn't go to court but said he was glad Sidhu had to surrender his passport. "At least they put some conditions on it," he said. "The bail seems low, but I guess if you go by the law — he doesn't have a prior record and hasn't tried to flee so I guess this is common. Herold and his wife are suing Sidhu, the trucking company and the bus's manufacturer. 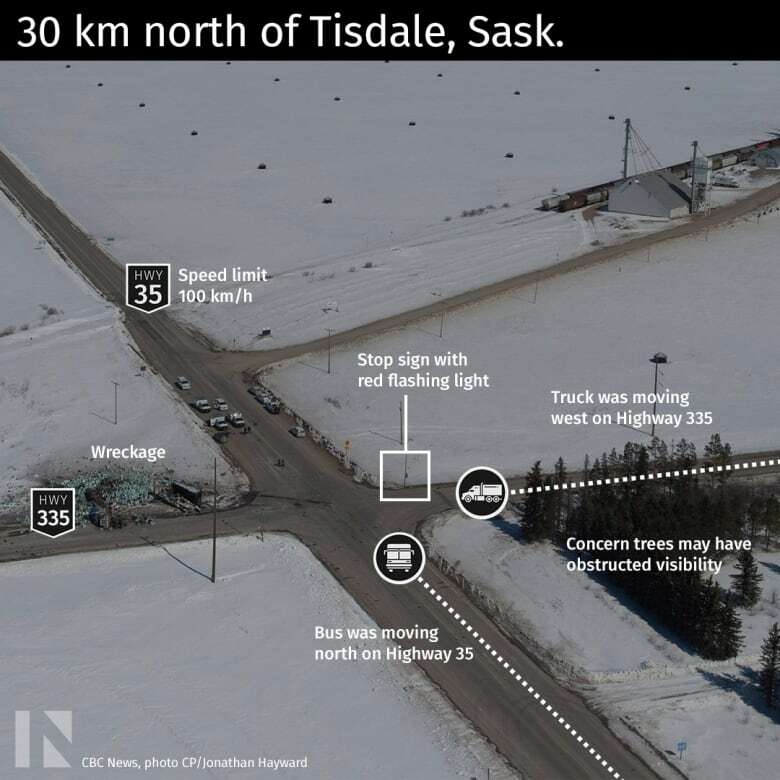 The statement of claim, filed at Regina's Court of Queen's Bench on Monday, alleges Sidhu did not have adequate training and failed to stop at the flashing stop sign at the rural intersection before colliding with the bus. 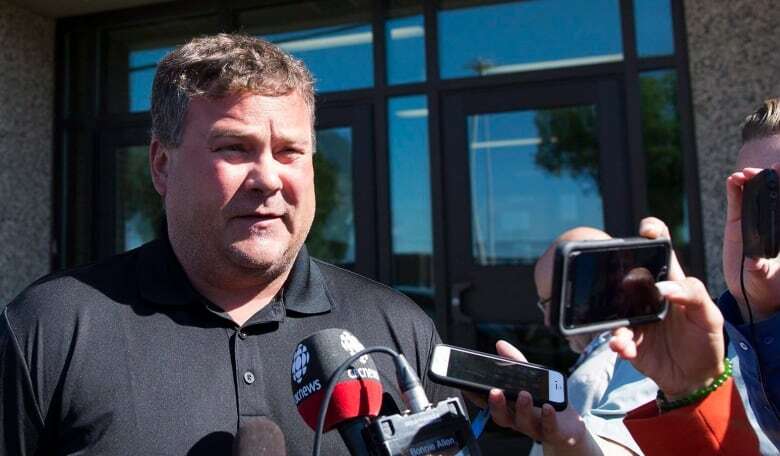 It asks for unspecified damages and a court order that all buses carrying sports teams in Saskatchewan be equipped with seatbelts and other safety devices. Last week, the RCMP said convictions for dangerous operation of a vehicle causing death can result in a sentence of up to 14 years in prison, while a conviction for injuring someone could land someone in prison for 10 years. Sidhu was arrested in Calgary on Friday and was remanded into custody. The crash occurred at a rural intersection 30 kilometres north of Tisdale. According to RCMP, the bus had the right of way, and the semi was in the intersection when the vehicles collided. There is a flashing stop sign for drivers on Highway 335 at Highway 35 between Nipawin and Tisdale. Sidhu had only been working for Calgary-based Adesh Deol Trucking Ltd. for a month. According to his LinkedIn profile, he made his way to Canada on a student visa in 2013 to study for a diploma in business administration at Calgary's Bow Valley College. Sidhu will make his next court appearance in August. An earlier version of this story said incorrectly that Jaskirat Singh Sidhu faces 16 counts of first-degree murder. In fact, the 16 charges involve dangerous operation of a motor vehicle causing death.